The aggregate market value of the voting Common Stock held by non-affiliates, computed by reference to the price at which the voting Common Stock was sold as of the last business day of the Company’s most recently completed second fiscal quarter is $13,626,542. As of April 15, 2019, the registrant had 528,959,280 shares of its common stock, par value $0.0001 per share, outstanding. When used in this Report, the words “may,” “will,” “expect,” “anticipate,” “continue,” “estimate,” “intend,” and similar expressions are intended to identify forward-looking statements within the meaning of Section 27A of the Securities Act of 1933, as amended (the “Act”) and Section 21E of the Securities Exchange Act of 1934, as amended (the “Exchange Act”) regarding events, conditions and financial trends which may affect the Company’s future plans of operations, business strategy, operating results, and financial position. Such statements are not guarantees of future performance and are subject to risks and uncertainties and actual results may differ materially from those included within the forward-looking statements for various reasons, including those identified under “Risk Factors.” Readers are cautioned not to place undue reliance on these forward-looking statements, which speak only as of the date made. Except as required under federal securities laws and the rules and regulations of the United States Securities and Exchange Commission, the Company does not undertake, and specifically declines, any obligation to update any of these statements or to publicly announce the results of any revisions to any forward-looking statements after the distribution of this report, whether as a result of new information, future events, changes in assumptions, or otherwise. Endonovo Therapeutics, Inc. (Endonovo or the “Company”) is an innovative biotechnology company that has developed a bio-electronic approach to regenerative medicine. The Company develops, manufactures and distributes evolutionary medical devices focused on the rapid healing of wounds and reduction of pain, edema and inflammation on and in the human body. The Company’s non-invasive bioelectric medical devices are designed to target inflammation, cardiovascular diseases, chronic kidney disease, and central nervous system disorders (“CNS” disorders). Endonovo’s core mission is to transform the field of medicine by developing safe, wearable, non-invasive bioelectric medical devices that deliver the Company’s Electroceutical® Therapy. Endonovo’s bioelectric Electroceutical® devices harnesses bioelectricity to restore key electrochemical processes that initiate anti-inflammatory processes and growth factors in the body necessary for healing to rapidly occur. Our predecessor company, Hanover Asset Management, Inc. was incorporated in November 2008 in California. For the purpose of reincorporating in Delaware, we merged with a newly incorporated successor company, Hanover Portfolio Acquisitions, Inc., in July 2011 under which we continue to operate. IP Resources International, Inc. began operations on September 1, 2011 and was formally incorporated on October 17, 2011. On March 14, 2012, we entered into a Share Exchange Agreement (“Agreement”) with IPR and certain of its shareholders. Under the Agreement, each participating IPR shareholder exchanged all of their issued and outstanding IPR common shares totaling 33,234,294, free and clear of all liens, and $155,000 for Company common shares equal to 1.2342 times the number of IPR shares being transferred to the Company for a total of 410,177 of our shares. The $155,000 was not paid at closing. The Company recorded the $155,000 as acquisition payable. IPR agreed to make payments of up to 25% of the proceeds from any private placement or gross profits earned by IPR until the obligation is satisfied. The percentage of the proceeds to be paid is at the sole discretion of IPR’s Chief Executive Officer and the ex-Chief Executive Officer of the Company based on the liquidity of the Company. As a result of the Agreement, the former shareholders of IPR, immediately post acquisition owned approximately 89% of the Company and its officers and directors constituted the majority of the officers and directors of the Company. Since the shareholders, officers and directors of IPR have control of the Company, the acquisitions constitutes a reverse acquisition, so IPR was the accounting acquirer and we were the accounting acquiree. For legal purposes, we are the legal parent and IPR is the legal subsidiary. On April 2, 2013, the Company entered into an Acquisition Agreement (the “Acquisition Agreement”) with (i) The Aviva Companies Corporation (“Aviva”) and (ii) all of the shareholders of Aviva (the “Shareholders”) pursuant to which the Company acquired all of the outstanding shares of Aviva in exchange for the issuance of 60,000 shares of our common stock, par value $0.0001 per share to the Shareholders (the “Share Exchange”). As a result of the Share Exchange, Aviva became a wholly-owned subsidiary of the Company. Other than in respect to the transaction, there is no material relationship among Aviva’s stockholders and any of the Company’s affiliates, directors or officers. We are not currently actively pursuing the development of the Aviva Companies Corporation. On November 16, 2013, the Company entered into an Acquisition Agreement (the “Acquisition Agreement”) with (i) WeHealAnimals, Inc. (“WHA”) and (ii) the sole shareholder of WHA (the “Shareholder”) pursuant to which the Company acquired all of the outstanding shares of WHA in exchange for the issuance of 3,000 shares of our common stock, par value $0.0001 per share and $96,000 to the Shareholder (the “Share Exchange”). As a result of the Share Exchange, WHA became a wholly-owned subsidiary of the Company and all of the equity of WHA including its and its sole shareholder’s intellectual property became the property of the Company. This obligation was fully paid on December 15, 2015 through the issuance of 350,000 shares of stock to Shareholder. WHA is a Nevada corporation with intellectual property in the fields of bio-technology including its biologics and time-varying electromagnetic frequencies with potential applications on people and animals that management believes can be developed to the benefit of the Company and its shareholders. WHA’s sole shareholder was formerly Chairman and Chief Scientist of Regenetech, Inc. Regenetech was acquired by a company that wanted its technology, biomolecules grown in microgravity, for use in cosmetics. WHA’s sole shareholder left Regenetech with exclusive rights to this proprietary square wave form technology and stem cell technologies, including the patents and patent applications relating thereto. Other than in respect to the transaction, there is no material relationship between WHA’s sole stockholder and any of the Company’s affiliates, directors or officers. On December 22, 2017, we exercised an option (the “Option”) to acquire intellectual property and other assets (the “RGN Assets”) from Rio Grande Neurosciences, Inc. (RGN). The Option’s price was $4,500,000 of which we paid $3,000,000 in cash and delivered a $1,500,000 secured promissory note due November 30, 2018 and security agreement. Before such note was due, the note was assigned to Eagle Equities, LLC (“Eagle”) its due date was extended to November 30, 2019, and it was made convertible into our common stock at a price related to our common stock’s market price at the time of conversion. We were granted the Option pursuant to a Settlement Agreement and Mutual Release (the “Settlement”) by and among us, RGN, and RGN’s principal shareholder which ended litigation brought by us related to an agreement we had with RGN. The terms of the settlement included a payment of $150,000 to us by RGN and the grant of the Option. The $3,000,000 Option payment was available due to the sale of $700,000 of a new class of preferred stock, a $1,800,000 secured convertible note from Eagle, and the application of available company funds. The RGN Assets relate to RGN’s PEMF portfolio of intellectual property, including 27 issued patents with foreign patent protection covering the therapeutic use of PEMF as well as the treatment of various central nervous system disorders. We intend to initiate and fund future clinical trials to evaluate the use of PEMF in the treatment of central nervous system disorders, including traumatic brain injury, post-concussion syndrome, stroke and multiple sclerosis. However, no assurance can be given that we will be successful in these endeavors or that the results of any tests will indicate further development of the RGN Assets. Prior to the exercise of the Option, RGN designated Steven Gluckstern as the payee of the Note and the party to the Security Agreement. Mr. Glucksterns rights thereunder were assigned to Eagle in November 2018. The PEMF assets acquired under the Option include SofPulse®, a portable, disposable PEMF device with a CE Mark and an FDA 510(k) clearance for the treatment of post-surgical pain and edema in addition to medical reimbursement for the treatment of chronic wounds. Endonovo Therapeutics has begun the commercialization of the PEMF assets through marketing and the creation of various sales channels and distribution agreements. We now are a biotechnology company developing bioelectronic devices and cell therapies for regenerative medicine. And a commercial-stage developer of non-invasive wearable Electroceuticals™ therapeutic devices. The Company’s current portfolio of commercial and clinical-stage wearable Electroceuticals™ therapeutic devices addresses wound healing, pain, post-surgical pain and edema, cardiovascular disease, chronic kidney disease, and Central Nervous System (CNS) Disorders, including traumatic brain injury (TBI), acute concussions, post- concussion syndrome and multiple sclerosis. The Company’s non-invasive Electroceutical™ therapeutic device, SofPulse®, using pulsed short-wave radiofrequency at 27.12 MHz has been FDA-Cleared and CE Marked for the palliative treatment of soft tissue injuries and post-operative pain and edema, and has CMS National Coverage for the treatment of chronic wounds. The Company’s current portfolio of pre-clinical stage Electroceuticals™ therapeutic devices address chronic kidney disease, liver disease non-alcoholic steatohepatitis (NASH), cardiovascular and peripheral artery disease (PAD), and ischemic stroke. The Company’s non-invasive, wearable Electroceuticals™ therapeutic devices work by restoring key electrochemical processes that initiate anti-inflammatory and growth factor cascades necessary for healing to occur. Time-Varying Electromagnetic Fields (TVEMF). Our Immunotronics platform is a non-implantable, non-invasive medical device that we are developing to target inflammatory conditions in vital organs. Our initial concentration is.to develop a therapeutic pipeline targeting vascular diseases and ischemia/reperfusion injuries, such as ischemic heart disease and peripheral vascular disease. Our second platform is Cytotronics, which uses our Time-Varying Electromagnetic Field (TVEMF) technology for the creation of cell-based therapies. Our initial concentration is on the development of a cell-based treatment for Graft-Versus-Host Disease. These products are part of an emerging field termed “Bioelectronic Medicine,” that seeks to harness electrical signals in nerves and cells to alter the course of diseases and conditions. Whereas our competitors are primarily using implantable electrical nerve stimulators, we are developing devices that are not implantable and use electromagnetic pulses to deliver electrical stimulation to cells and tissues. We are developing these bioelectronic devices for the treatment of inflammatory conditions in tissues and vital organs with a concentration on vascular diseases and ischemia/reperfusion injuries. We are currently conducting pre-clinical studies to assess the therapeutic potential of our Immunotronics platform in the treatment and prevention of heart failure following myocardial infarction. Our Cytotronics platform uses our Time-Varying Electromagnetic Field (TVEMF) technology to expand and enhance the biological properties of stem cells for the creation of cell-based therapies. Our platform builds upon the original work conducted at the National Aeronautics and Space Administration (NASA) using TVEMF technology for the expansion of stem cells and expands this work to the development of electromagnetically-enhanced cell based therapies. Our initial concentration is on the development of our proprietary cell therapy that is created using the co-culture of stem cells from the human umbilical cord with adipose-derived stem cells to create a cell mixture that displays neither class I nor class II cell-surface major histocompatibility markers (MHC -/-) and can be administered without a tissue match. We are initially seeking to develop this cell therapy for the treatment of Graft-Versus-Host Disease. We are currently conducting pre-clinical testing at a research university in Italy to assess the ability to enhance the properties of stem cells using our Cytotronics technology. SofPulse: We have 27 issued patents with foreign patent protection covering the therapeutic use of tPEMF as well as the treatment of various central nervous system disorders. Additionally to date, we have filed seven patent applications in the U.S. through the U.S. Patent and Trademark Office (USPTO) and four international patent applications in the E.U., China, South Korea and Japan covering our Time-Varying Electromagnetic Field (TVEMF) technology, the production of biomolecules, the creation of an allogeneic mesenchymal stem cell product a treatment for chemical and radiation injuries, production of stem cell secretome and a method of treating tissues and organs using our TVEMF technology. To date, we have been granted one U.S. Patent (U.S. Patent No. 9,410,143) issued on August 9, 2017 covering the production of human biomolecules using our TVEMF technology. We will continue to seek to strengthen our portfolio of intellectual property by filing additional patents around uses of our core technologies. ● Incrementally invest, market, and refine acquired and developed medical technologies and therapies. The healthcare industry is one of the world’s largest and fastest-growing industries. Consuming over 10 percent of Gross Domestic Product (GDP) of most developed nations, health care can form an enormous part of a country’s economy. As of 2016, 91.1% of residents had health protection in the United States, either through their employer or bought individually. During 2016, healthcare costs reached $3.3 trillion, or $10,348 per person. The share of U.S. GDP devoted to healthcare was 17.9% of U.S. Gross Domestic Product (GDP), the largest of any country in the world. Specifically, the cost of pharmaceuticals in the United States is the highest on the planet. It is expected that Healthcare’s share of U.S. GDP will continue its upward trend, reaching 20 percent of U.S. GDP by 2025. Globally, by 2040, Healthcare spending is expected to exceed $18 Trillion annually. Bio-Electrical Medicine is a $17.2 Billion sector of the Healthcare Industry growing at more than a 11% CAGR estimated to exceed $35.5 Billion by 2025, according to Grand View Research. Get me a copy of this Bioelectric medicine is at the forefront of technological revolution in medical sciences. As opposed to the pharmaceutical industry, bioelectric medicine has a different treatment therapy that is based on electrical pulses instead of drugs to trigger the body’s recovery capabilities. Bioelectric medicine develops nerve stimulating and sensors activation technologies to regulate biological functions and treat diseases by combining bioengineering, neuroscience, molecular medicines and electronics. These technologies may change the future of therapies for wide range of diseases. Over the past 15 years, long-acting and extended-release opioids have been used to treat open wounds, post-operative wounds and chronic pain. These opioids are normally administered at high doses and over long treatment durations particularly in the United States, resulting in a drastic increase in the number opioid-tolerant individuals and a prescription opioid abuse epidemic. Endonovo offers an alternative, non-opioid treatment through its Electroceuticals® systems: The Company’s SofPulse® system is a medical device/designed to rapidly reduce post-operative swelling/edema, pain and to treat and accelerate the recovery of chronic wounds through the use of tPEMF. Chronic pain therapy via tPEMF works by relieving the underlying cause of pain – inflammation. Drug therapies remain the standard of care for a broad range of medical conditions, including high blood pressure, chronic pain, autoimmune diseases, and psychiatric disorders. Management believes that bioelectronic medicine has developed as a viable alternative for the treatment of many disorders. Normally, our nervous systems send signals to our tissues and organs to suppress inflammation, a phenomenon known as the inflammatory reflex. But sometimes, this system does not work properly, with malfunctions resulting in diseases like rheumatoid arthritis and inflammatory bowel disease. Traditionally, doctors have treated these diseases using drugs designed to suppress inflammation, such as infliximab (trade name Remicade) or adalimumab (Humira). But these drugs are expensive. Plus, they don’t work for everyone, often come with nasty side effects, and in some rare cases, they can even kill. In clinical trials, the SofPulse® device has proven to reduce mean pain scores by nearly 300% and inflammation by 275% thereby improving and reducing recovery time. Additionally, active patients have experienced a 2.2 fold reduction in narcotic use. The SofPulse® delivers tPEMF to enhance post-surgical recovery, naturally. Since the SofPulse® is non-invasive and non-pharmacologic, there are no known side effects and no potential for overdose or dependency AND no effects on healthy tissue. SofPulse® delivers low intensity microcurrents of energy directly to the procedure site, to enhance recovery, by increasing the amount of naturally occurring Vascular Endothelial Growth Factor (VEGF), thereby increasing the physiological process through which new blood vessels form from pre-existing vessels (Angiogenesis). Within hours/days, the Fibroblast Growth Factor (FGF) enhances, thereby increasing the production of Collagen/Granulation (within days) and Transforming Growth Factor (TGF-β) accelerating Remodeling in the body within days/weeks. This device reduces inflammation and speeds/improves the healing process. The natural healing process allows patients to get back to life faster with lowered use of narcotics. A surgeon places and activates SofPulse® immediately after a procedure. The SofPulse® can be placed over a surgical dressing or clothing and can easily be applied and/or removed in many cases by the patient themselves. The length of time the device is used will vary depending on the type of procedure. The SofPulse® allows patients to get back to an active life faster with less use of narcotics. Ø Immediately Usable and Effective - Single use patient device applied immediately after surgery. Ø Easy to Use - SofPulse® can easily be applied and or removed, including in many cases by the patient themselves. Ø Automated Dosing - Device is activated automatically or can be used as needed. Ø Versatile - The product comes as a single device or dual device to accommodate different surgical procedures. 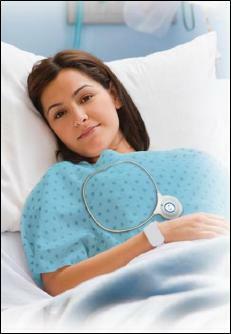 Our SofPulse® device is manufactured for us by ADM Tronics, Inc. in an FDA approved facility in Northvale, New Jersey. In addition to the continuing development and expansion of our In-House sales force, an important element of Endonovo’s strategy is to establish relationships with third parties (such as well established sales organizations) that assist us in developing, marketing, selling and implementing our products. We believe that strategic and technology-based relationships with medical facilities are fundamental to our success. We have forged numerous relationships with medical device distributors to enhance our combined capabilities. This approach enhances our ability to accelerate market penetration, accelerate the pace of our sales growth and solidify relationships. We have a variety of marketing programs designed to create brand awareness and market recognition for our product offerings and for sales lead generation. Our marketing efforts include attending and presenting at healthcare related conferences, advertising, content development and distribution, public relations, social media publication of technical and informative articles in industry journals, sales training, and preparation of competitive analyses. In addition, our strategic partners augment our marketing and sales campaigns through seminars, trade shows and joint public relations and advertising campaigns. Our customers and strategic partners provide references and recommendations that we often feature in external marketing activities. Endonovo also plans to utilize Key Opinion Leaders (KOLs) within the medical community to develop a sales channel through KOL recommendations to other physicians/surgeons. The pain management market is intensely competitive, highly fragmented and characterized by rapidly changing technology and drugs. We currently compete with other medical device manufacturers as well as pharmaceuticals that have developed drugs that are considered addictive. We do not have any employees. However, we have retained approximately 10 individuals as independent contractors that are involved in business development and sales, research & development and administrative functions. We have two office locations; Woodland Hills, CA and Pittsburgh, PA, in serviced office suite on a month to month basis. We believe such offices are adequate for our present needs. We are not party to any material legal proceeding. Due to the nature of our business, we may become active in litigation relating to the defense or assertion of our patent rights or other corporate matters. Our common stock trades on the OTCQB under the symbol “ENDV”. The OTCQB is a quotation service that displays real-time quotes, last-sale prices, and volume information in over-the-counter (“OTC”) equity securities. An OTCQB equity security generally is any equity that is not listed or traded on a national securities exchange. Our stock is thinly traded, and a robust, active trading market may never develop. The market for the Company’s common stock has been limited, volatile, and sporadic. The following table shows, for the periods indicated, the high and low closing prices per share of our common stock as reported by the OTCQB quotation service. As of April 15, 2019, there were approximately 390 stockholders of record. Because shares of our common stock are held by depositaries, brokers and other nominees, the number of beneficial holders of our shares is substantially larger than the number of stockholders of record. The information and financial data discussed below is derived from the audited financial statements of the Company for its fiscal year ended December 31, 2018. The audited financial statements were prepared and presented in accordance with generally accepted accounting principles in the United States. The information and financial data discussed below is only a summary and should be read in conjunction with the historical financial statements and related notes contained elsewhere in this 10-K. The financial statements contained elsewhere in this 10-K fully represent the Company’s financial condition and operations; however, they are not indicative of the Company’s future performance. Although management believes that the assumptions made and expectations reflected in the forward-looking statements are reasonable, there is no assurance that the underlying assumptions will, in fact, prove to be correct or that actual results will not be different from expectations expressed in this 10-K. This filing contains a number of forward-looking statements which reflect management’s current views and expectations with respect to our business, strategies, products, future results and events, and financial performance. All statements made in this filing other than statements of historical fact, including statements addressing operating performance, events, or developments which management expects or anticipates will or may occur in the future, including statements related to distributor channels, volume growth, revenues, profitability, new products, adequacy of funds from operations, statements expressing general optimism about future operating results, and non-historical information, are forward looking statements. In particular, the words “believe,” “expect,” “intend,” “anticipate,” “estimate,” “may,” variations of such words, and similar expressions identify forward-looking statements, but are not the exclusive means of identifying such statements, and their absence does not mean that the statement is not forward-looking. These forward-looking statements are subject to certain risks and uncertainties, including those discussed below. Our actual results, performance or achievements could differ materially from historical results as well as those expressed in, anticipated, or implied by these forward-looking statements. We do not undertake any obligation to revise these forward-looking statements to reflect any future events or circumstances. Readers should not place undue reliance on these forward-looking statements, which are based on management’s current expectations and projections about future events, are not guarantees of future performance, are subject to risks, uncertainties and assumptions (including those described below), and apply only as of the date of this filing. Our actual results, performance or achievements could differ materially from the results expressed in, or implied by, these forward-looking statements. Factors which could cause or contribute to such differences include, but are not limited to, the risks discussed in this Annual Report on Form 10K, in press releases and in other communications to shareholders issued by us from time to time which attempt to advise interested parties of the risks and factors which may affect our business. We undertake no obligation to publicly update or revise any forward-looking statements, whether as a result of new information, future events, or otherwise. We prepare our consolidated financial statements in accordance with accounting principles generally accepted in the U.S. (U.S. GAAP). In doing so, we have to make estimates and assumptions that affect our reported amounts of assets, liabilities, revenues, and expenses, as well as related disclosure of contingent assets and liabilities. In some cases, we could reasonably have used different accounting policies and estimates. In some cases, changes in the accounting estimates are reasonably likely to occur from period to period. Accordingly, actual results could differ materially from our estimates. To the extent that there are material differences between these estimates and actual results, our financial condition or results of operations will be affected. We base our estimates on past experience and other assumptions that we believe are reasonable under the circumstances, and we evaluate these estimates on an ongoing basis. We refer to accounting estimates of this type as critical accounting policies and estimates, which we discuss further below. Preparing financial statements requires management to make estimates and assumptions that affect the reported amounts of assets, liabilities, revenue, and expenses. The significant estimates were made for the fair value of common stock issued for services, with notes payable arrangements, in connection with note extension agreements, and as repayment for outstanding debt, in estimating the useful life used for depreciation and amortization of our long-lived assets, in the valuation of the derivative liability, and the valuation of deferred income tax assets. Actual results and outcomes may differ from management’s estimates and assumptions. Basic net income (loss) per share is calculated based on the net income (loss) attributable to common shareholders divided by the weighted average number of shares outstanding for the period excluding any dilutive effects of options, warrants, unvested share awards and convertible securities. Diluted net income (loss) per common share assumes the conversion of all dilutive securities using the if-converted method and assumes the exercise or vesting of other dilutive securities, such as options, common shares issuable under convertible debt, warrants and restricted stock using the treasury stock method when dilutive. The Company uses the specific identification method for recording the provision for doubtful accounts, which was $0 at December 31, 2018 and 2017. Accounts receivable are written off when all collection attempts have failed. Costs relating to the development of new products are expensed as research and development as incurred in accordance with FASB Accounting Standards Codification (“ASC”) 730-10, Research and Development. Research and development costs amounted to $274,271 and $115,159 for the years ended December 31, 2018 and 2017, respectively, and are included in operating expenses in the consolidated statements of operations. In February 2016, the FASB issued ASU 2016-02, Leases (Topic 842), which supersedes existing guidance on accounting for leases in “Leases (Topic 840)” and generally requires all leases to be recognized in the consolidated balance sheet. ASU 2016-02 is effective for annual and interim reporting periods beginning after December 15, 2018; early adoption is permitted. The provisions of ASU 2016-02 are to be applied using a modified retrospective approach. The Company has not yet selected a transition method nor has it determined the effect of the standard on its ongoing financial reporting. In 2016, the FASB issued ASU 2016-15, Classification of Certain Cash Receipts and Cash Payments (“ASU 2016-15”), which provides clarification regarding how certain cash receipts and cash payments are presented and classified in the statement of cash flows and ASU 2016-18, Restricted Cash (“ASU 2016-18”), which requires an entity to show the changes in total cash, cash equivalents, restricted cash and restricted cash equivalents in the statement of cash flows. ASU 2016-15 and ASU 2016-18 are effective for us beginning January 1, 2017 and was applied by us using a retrospective transition method. Adoption of these standards did not have an impact on our Consolidated Financial Statements. In 2016, the FASB issued ASU 2016-16, Intra-Entity Transfers of Assets Other Than Inventory (“ASU 2016-16”), which requires a company to recognize the tax consequences of an intra-entity transfer of an asset, other than inventory, when the transfer occurs. ASU 2016-16 is effective for us beginning January 1, 2017 and was applied by us using a modified retrospective method. Adoption of this standard did not have an impact on our Consolidated Financial Statements. On January 1, 2017, we adopted ASU 2016-09, Compensation - Stock Compensation (“ASU 2016-09”) which simplifies several aspects of the accounting for employee share-based payment transactions, including the accounting for forfeitures and statutory tax withholding requirements, as well as classification in the statement of cash flows. Adoption of ASU 2016-09 did not have a significant impact on our Consolidated Financial Statements. In January 2017, the FASB issued ASU 2017-01, Business Combinations (“ASU 2017-01”) which provided new guidance clarifying the definition of a business for determining whether transactions should be accounted for as acquisitions (or disposals) of assets or businesses. The new standard is effective for annual periods, and interim periods within those annual periods, beginning after December 15, 2017 with early adoption permitted for transactions that occurred before the issuance date or effective date of the standard if the transactions were not reported in financial statements that have been issued or made available for issuance. Upon early adoption, the standard did not have a significant impact on our Consolidated Financial Statements. In January 2017, the FASB issued ASU 2017-04, Intangibles - Goodwill and Other (Topic 350) that simplifies the test for goodwill impairment by eliminating step two from the goodwill impairment test. Under the new guidance, an entity should recognize an impairment charge for the amount based on the excess of a reporting unit’s carrying amount over its fair value. The impairment charge will be limited to the amount of goodwill allocated to that reporting unit. For public companies, the guidance is effective for annual and interim impairment tests performed in periods beginning after December 15, 2019 on a prospective basis, and earlier adoption is permitted for goodwill impairment tests performed on testing dates after January 1, 2017. We early adopted this guidance during the three months ended March 2017, and the adoption did not impact our financial statements. In May 2014, the FASB issued ASU 2014-09 and modified the standard thereafter within Accounting Standards Codification (“ASC”) Topic 606, Revenue from Contracts with Customers (“ASC 606”). The objective of ASU 2014-09 is to establish a single comprehensive model for entities to use in accounting for revenue arising from contracts with customers and supersedes most of the existing revenue recognition guidance. The Company adopted ASU 2014-09 effective January 1, 2018 using the modified retrospective method. The adoption of ASU 2014-09 did not have a significant impact on the Company’s consolidated results of operations, financial position and cash flows. In June 2018, the FASB issued ASU No. 2018-07, Compensation—Stock Compensation (Topic 718): Improvements to Nonemployee Share-Based Payment Accounting, which simplifies several aspects of the accounting for nonemployee share-based payment transactions resulting from expanding the scope of Topic 718, Compensation—Stock Compensation, to include share-based payment transactions for acquiring goods and services from nonemployees. This ASU is effective for public business entities for fiscal years beginning after December 15, 2018, including interim periods within that fiscal year. For all other entities, the amendments are effective for fiscal years beginning after December 15, 2019, and interim periods within fiscal years beginning after December 15, 2020. Early adoption is permitted, but no earlier than an entity’s adoption date of Topic 606. The Company has early adopted ASU 2018-07 and the adoption did not have a significant impact on the Company’s consolidated financial statements. In July 2018, the FASB issued ASU No. 2018-10, Codification Improvements to Topic 842, Leases. The amendments in this Update affect the amendments in Update 2016-02, which are not yet effective, but for which early adoption upon issuance is permitted. For entities that early adopted Topic 842, the amendments are effective upon issuance of this Update, and the transition requirements are the same as those in Topic 842. For entities that have not adopted Topic 842, the effective date and transition requirements will be the same as the effective date and transition requirements in Topic 842. The Company has not yet selected a transition method nor has it determined the effect of the standard on its ongoing financial reporting. In August 2018, the FASB issued ASU No. 2018-13, Fair Value Measurement (Topic 820): Disclosure Framework- Changes to the Disclosure Requirements for Fair Value Measurement. The amendments in this Update modify the disclosure requirements on fair value measurements in Topic 820, Fair Value Measurement, based on the concepts in the Concepts Statement, including the consideration of costs and benefits. Effective for all entities for fiscal years, and interim periods within those fiscal years, beginning after December 15, 2019. The amendments on changes in unrealized gains and losses, the range and weighted average of significant unobservable inputs used to develop Level 3 fair value measurements, and the narrative description of measurement uncertainty should be applied prospectively for only the most recent interim or annual period presented in the initial fiscal year of adoption. All other amendments should be applied retrospectively to all periods presented upon their effective date. Early adoption is permitted upon issuance of this Update. Any entity is permitted to early adopt any removed or modified disclosures upon issuance of this Update and delay adoption of the additional disclosures until their effective date. The Company has not yet selected a transition method nor has it determined the effect of the standard on its ongoing financial reporting. The Company has evaluated all the recent accounting pronouncements and determined that there are no other accounting pronouncements that will have a material effect on the Company’s financial statements. Revenue of the Company’s SofPulse® product during the current year in an amount of $83,263 compared to no sales during the previous year. Revenues for our SofPulse® product is typically recognized at the time the product is shipped, at which time the title passes to the customer, and there are no further performance obligations. In connection with offering products and services provided to the end user by third-party vendors, we review the relationship between us, the vendor and the end user to assess whether revenue should be reported on a gross or net basis. In asserting whether revenue should be reported on a gross or net basis, we consider whether we act as a principal in the transaction and control the goods and services used to fulfill the performance obligation(s) associated with the transaction. It is anticipated that sales will increase in future periods. Cost of revenue was $12,930 during the current year compared to no cost of revenue during the previous year. Cost of revenue is recognized on those sales recorded as gross for which we are the principal in the transaction as opposed to net sales which reflect no cost of revenue. It is anticipated that cost of revenue will increase in future periods. Our operating expenses for 2018 were $4,229,595 compared to $4,603,886 for 2017. The operating expenses were comprised primarily of consulting and professional fees for the development of our intellectual property, research and development and expenses related to being a public company. The primary reasons for the decrease in operating expenses was a reduction in consulting and professional fees of approximately $1,280,000 offset by increases in research and development expenses of approximately $159,000 and amortization of patent expenses of approximately $647,000. We incur depreciation and amortization expense for costs related to our assets, including our patents, information technology and software. Our depreciation and amortization was $650,216 in 2018 compared to $14,761 in 2017. There were no significant equipment purchases or sales during 2018. Our Other Income (Expense) was expense of $2,276,577 in 2018 compared to expense of $6,206,274 in 2017. The income in 2018 and the expense in 2017 was primarily the result of changes in our financings and re-valuations to reflect liability accounting for convertible debt issued with variable conversion rates. Since inception and through December 31, 2018, the Company has raised approximately $13.7 million in equity and debt transactions. These funds have been used to advance the operations of the Company, build its bio-medical platform, patent work and general corporate development. Our accompanying consolidated financial statements have been prepared assuming the Company will continue as a going concern, which contemplates realization of assets and the satisfaction of liabilities in the normal course of business for the twelve-month period following the date of these consolidated financial statements. However, the Company has incurred substantial losses. Our current liabilities exceed our current assets and available cash is not sufficient to fund the expected future operation. The Company is raising additional capital through debt and equity securities in order to continue the funding of its operations. However, there is no assurance that the Company can raise enough funds or generate sufficient revenues to pay its obligations as they become due, which raises substantial doubt about our ability to continue as a going concern. To reduce the risk of not being able to continue as a going concern, management has management has implemented its business plan to materialize revenues from sales and future license agreements and has also initiated an equity line of credit offering to raise capital through the sale of its common stock and has engaged an Investment Banker to raise additional capital. Although, uncertainty exists as to whether the Company will be able generate enough cash from operations to fund the Company’s working capital needs or raise sufficient capital to meet the Company’s obligations as they become due, no adjustments have been made to the carrying value of assets or liabilities as a result of this uncertainty. Our cash on hand at December 31, 2018 was $379,151. This will not be sufficient to fund operations if additional capital is not raised. The Company raised an aggregate of $320,000 through the sale of equity and debt securities since December 31, 2018 through the date of this report. Management does not believe that our current business segment is seasonal to any material extent. The above issuances of were exempt from registration pursuant to Section 4(2), and/or Regulation D promulgated under the Securities Act. These securities qualified for exemption under Section 4(2) of the Securities Act since the issuance securities by us did not involve a public offering. The offering was not a “public offering” as defined in Section 4(2) due to the insubstantial number of persons involved in the deal, size of the offering, manner of the offering and number of securities offered. We did not undertake an offering in which we sold a high number of securities to a high number of investors. In addition, these stockholders had the necessary investment intent as required by Section 4(2) since they agreed to and received share certificates bearing a legend stating that such securities are restricted pursuant to Rule 144 of the Securities Act. This restriction ensures that these securities would not be immediately redistributed into the market and therefore not be part of a “public offering.” Based on an analysis of the above factors, we have met the requirements to qualify for exemption under Section 4(2) of the Securities Act for this transaction. We are a Smaller Reporting Company and are not required to provide the information under this item. We have audited the accompanying consolidated balance sheets of Endonovo Therapeutics, Inc. and Subsidiaries (the Company) as of December 31, 2018 and 2017, and the related statements of operations, stockholders’ deficit, and cash flows for each of the years in the two-year period ended December 31, 2018, and the related notes to the consolidated financial statements (collectively referred to as the consolidated financial statements). In our opinion, the consolidated financial statements present fairly, in all material respects, the financial position of the Company as of December 31, 2018 and 2017, and the results of its operations and its cash flows for each of the years in the two-year period ended December 31, 2018, in conformity with accounting principles generally accepted in the United States of America. The accompanying consolidated financial statements have been prepared assuming that the Company will continue as a going concern. As discussed in Note 1 to the consolidated financial statements, the Company has continued to incur significant operating losses and negative cash flows from operations, during the year ended December 31, 2018 and has negative working capital at December 31, 2018. These conditions raise doubt about the Company’s ability to continue as a going concern. Management’s plans in regard to these matters are also described in Note 1. The consolidated financial statements do not include any adjustments that might result from the outcome of this uncertainty. See accompanying summary of accounting polices and notes to consolidated financial statements. Endonovo Therapeutics, Inc. (Endonovo or the “Company”) is an innovative biotechnology company that has developed a bio-electronic approach to regenerative medicine. Endonovo is a growth stage company whose stock is publicly traded (OTCQB: ENDV). The Company develops, manufactures and distributes evolutionary medical devices focused on the rapid healing of wounds and reduction of inflammation on and in the human body. The Company’s non-invasive bioelectric medical devices are designed to target inflammation, cardiovascular diseases, chronic kidney disease, and central nervous system disorders (“CNS” disorders). On January 22, 2014, Hanover Portfolio Acquisitions, Inc. (the “Company”) received written consents in lieu of a meeting of stockholders from holders of a majority of the shares of Common Stock representing in excess of 50% of the total issued and outstanding voting power of the Company approving an amendment to the Company’s Certificate of Incorporation to change the name of the Company from “Hanover Portfolio Acquisitions, Inc.” to “Endonovo Therapeutics, Inc.” The name change was affected pursuant to a Certificate of Amendment (the “Certificate of Amendment”), filed with the Secretary of State of Delaware on January 24, 2014. The consolidated financial statements of the Company include the accounts of ETI, IP Resources International, Inc., Aviva Companies Corporation, and WeHealAnimals, Inc. All significant intercompany accounts and transactions are eliminated in consolidation. These accompanying consolidated financial statements have been prepared assuming the Company will continue as a going concern, which contemplates realization of assets and the satisfaction of liabilities in the normal course of business for a period following the date of these consolidated financial statements. The Company has recurring net losses, negative cash flows from operations and working capital deficits. The Company has raised approximately $3.8 million in debt and equity financing for the year ended December 31, 2018. The Company is raising additional capital through debt and equity securities in order to continue the funding of its operations. However, there is no assurance that the Company can raise enough funds or generate sufficient revenues to pay its obligations as they become due, which raises substantial doubt about our ability to continue as a going concern. No adjustments have been made to the carrying value of assets or liabilities as a result of this uncertainty. To reduce the risk of not being able to continue as a going concern, management has implemented its business plan to materialize revenues from potential, future, license agreements, has initiated an equity line of credit offering to raise capital through the sale of its common stock, has engaged a broker/dealer to raise additional capital and is seeking out profitable companies. The preparation of financial statements in conformity with accounting principles generally accepted in the United States of America requires management to make estimates and assumptions that affect the amounts reported in the consolidated financial statements and accompanying notes. Critical estimates include the value of shares issued for services, in connection with notes payable agreements, in connection with note extension agreements, and as repayment for outstanding debt, the useful lives of property and equipment, the valuation of the derivative liability, and the valuation of deferred income tax assets. Management uses its historical records and knowledge of its business in making these estimates. Actual results could differ from these estimates. The Company considers all highly liquid investments with an original maturity of three months or less to be cash equivalents. Financial instruments that potentially subject us to a concentration of credit risk consist of cash and cash equivalents. Cash is deposited with what we believe are highly credited, quality institutions. The deposited cash may exceed Federal Deposit Insurance Corporation (“FDIC”) insured limits. At December 31, 2018, cash exceeded FDIC limits by approximately $129,000. Property, plant and equipment are stated at cost. Depreciation is computed using the straight-line method over the estimated useful lives of the assets, which range between five and seven years. Repairs and maintenance are charged to expense as incurred while improvements are capitalized. Upon the sale, retirement or disposal of fixed assets, the accounts are relieved of the cost and the related accumulated depreciation with any gain or loss recorded to the consolidated statements of operations. The Company reviews its long-lived assets for impairment whenever events or changes in business circumstances indicate that the carrying amount of assets may not be fully recoverable or that the useful lives of these assets are no longer appropriate. Each impairment test is based on a comparison of the undiscounted future cash flows generated from the asset group to the recorded value of the asset group. If impairment is indicated, the asset is written down to its estimated fair value. The Company measures equity-based compensation cost at the grant date based on the fair value of the award and recognizes it as expense, net of forfeitures which are recognized as they occur, over the vesting or service period, as applicable, of the stock award using the straight-line method. When our common stock is thinly traded, we have made estimates of the fair value of the common stock based not only on market prices but other factors such as financial condition and results of operations. The Company has adopted ASC Topic 740, which clarifies the accounting for uncertainty in income taxes recognized in an enterprise’s financial statements. ASC Topic 740 prescribes a recognition threshold and measurement attribute for the financial statement recognition and measurement of a tax position taken or expected to be taken in a tax return, and also provides guidance on derecognition of tax benefits, classification on the balance sheet, interest and penalties, accounting in interim periods, disclosure and transition. The Company has determined that the adoption did not result in the recognition of any liability for unrecognized tax benefits and that there are no unrecognized tax benefits that would, if recognized, affect the Company’s effective tax rate. Costs relating to the development of new products are expensed as research and development as incurred in accordance with FASB Accounting Standards Codification (“ASC”) 730-10, Research and Development. Research and development costs amounted to $274,265 and $115,159 for the years ended December 31, 2018 and 2017, respectively, and are included in operating expenses in the consolidated statements of operations. Accounting guidance on fair value measurements and disclosures defines fair value, establishes a framework for measuring the fair value of assets and liabilities using a hierarchy system, and defines required disclosures. It clarifies that fair value is the price that would be received to sell an asset or paid to transfer a liability in an orderly transaction between market participants in the market in which the reporting entity transacts business. Level 1: uses quoted market prices in active markets for identical assets or liabilities. Level 2: uses observable market-based inputs or unobservable inputs that are corroborated by market data. Level 3: uses unobservable inputs that are not corroborated by market data. The fair value of the Company’s recorded derivative liability is determined based on unobservable inputs that are not corroborated by market data, which require a Level 3 classification. A Black-Sholes option valuation model was used to determine the fair value. The Company records derivative liability on the condensed consolidated balance sheets at fair value with changes in fair value recorded in the condensed consolidated statements of operation. The assumptions used in determining fair value represent management’s best estimates, but these estimates involve inherent uncertainties and the application of management’s judgment. As a result, if factors change, including changes in the market value of the Company’s common stock, managements’ assessment or significant fluctuations in the volatility of the trading market for the Company’s common stock, the Company’s fair value estimates could be materially different in the future. The Company computes the fair value of the derivative liability at each reporting period and the change in the fair value is recorded as non-cash expense or non-cash income. The key component in the value of the derivative liability is the Company’s stock price, which is subject to significant fluctuation and is not under its control, and the assessment of volatility. The resulting effect on net loss is therefore subject to significant fluctuation and will continue to be so until the Company’s Variable Debentures, which the convertible feature is associated with, are converted into common stock or paid in full with cash. Assuming all other fair value inputs remain constant, the Company will record non-cash expense when its stock price increases and non-cash income when its stock price decreases. The Company elects to accrete the difference between the redemption value and carrying value of outstanding preferred stock over the period from the date of issuance to the earliest redemption date using the effective interest method. Certain reclassifications have been made to the 2017 financial statements in order for them to conform to the 2018 presentation. Such reclassifications have no impact on the Company’s financial position or results of operations. We have adopted ASC 606, Revenue from Contracts with Customers effective January 1, 2018 using the modified retrospective method applied to those contracts which were not substantially completed as of January 1, 2018. These standards provide guidance on recognizing revenue, including a five-step model to determine when revenue recognition is appropriate. The standard requires that an entity recognize revenue to depict the transfer of control of promised goods or services to customers in an amount that reflects the consideration to which the entity expects to be entitled in exchange for those goods or services. Revenues for 2018 are reported under ASC 606, while prior period amounts are not adjusted and continue to be reported under ASC 605, Revenue Recognition. We routinely plan on entering into contracts with customers that include general commercial terms and conditions, notification requirements for price increases, shipping terms and in most cases prices for the products and services that we offer. Our performance obligations are established when a customer submits a purchase order notification (in writing, electronically or verbally) for goods and services, and we accept the order. We identify performance obligations as the delivery of the requested product or service in appropriate quantities and to the location specified in the customer’s contract and/or purchase order. We generally recognize revenue upon the satisfaction of these criteria when control of the product or service has been transferred to the customer at which time we have an unconditional right to receive payment. Our sales and sale prices are final and our prices are not affected by contingent events that could impact the transaction price. During the year ended December 31, 2018, we recognized net revenue of $17,045 from products with a selling price of $43,196 and gross revenue of $66,218 from products we sold as a principal in the transaction. Our general product warranties do not extend beyond an assurance that the product delivered will be consistent with stated specifications and do not include separate performance obligations. There are no significant judgments associated with the satisfaction of our performance obligations. We generally satisfy performance obligations upon delivery of the product to the customer. This is consistent with the time in which the customer obtains control of the products. Performance obligations are also generally settled quickly after the purchase order acceptance, therefore the value of unsatisfied performance obligations at the end of any reporting period is generally immaterial. We consider variable consideration in establishing the transaction price. Forms of variable consideration applicable to our arrangements include sales returns, rebates, volume-based bonuses, and prompt pay discounts. We use historical information along with an analysis of the expected value to properly calculate and to consider the need to constrain estimates of variable consideration. Such amounts are included as a reduction to revenue from the sale of products in the periods in which the related revenue is recognized and adjusted in future periods as necessary. Our payment terms for sales direct to distributors, End Users, Hospitals and Doctors are substantially less than the one-year collection period that falls within the practical expedient in determination of whether a significant financing component exists. Taxes collected on the value of transaction revenue are excluded from product revenues and are accrued in current liabilities until remitted to governmental authorities. Adoption of the new standards related to revenue recognition did not have a material impact on our consolidated financial statements. Depreciation expense for the years ended December 31, 2018 and 2017 was $3,306 and $14,761, respectively. Amortization expense for the years ended December 31, 2018 and 2017 was $646,910 and $0, respectively. In October 2013, the Company initiated a private placement for up to $500,000 of financing by the issuance of notes payable at a minimum of $25,000, one unit. The notes bear interest at 10% per annum and were due and payable with accrued interest one year from issuance. Also, the Company agreed to issue 125,000 shares of its common stock for each unit. In July 2014, the Company initiated a private placement for up to $500,000 of financing by the issuance of notes payable at a minimum of $25,000, one unit. The notes bear interest at 10% per annum and were due and payable with accrued interest one year from issuance. Also, the Company agreed to issue 50,000 shares of its common stock for each unit. In October 2014, the Company initiated a private placement for up to $500,000 of financing by the issuance of notes payable at a minimum of $25,000, one unit. The notes bear interest at 10% per annum and were due and payable with accrued interest one year from issuance. Also, the Company agreed to issue 50,000 shares of its common stock for each unit. In August 2015, the Company initiated a private placement for up to $500,000 of financing by the issuance of notes payable at a minimum of $25,000, one unit. The notes bear interest at 10% per annum and were due and payable with accrued interest one year from issuance. Also, the Company agreed to issue 100,000 shares of its common stock for each unit. During the years ended December 31, 2018 and 2017, the Company did not issue notes in connection with these private placements. As of December 31, 2018 and 2017, notes payable outstanding under these private placements are $692,403 and $919,903, respectively, all of which are past maturity at December 31, 2018 and 2017. During the year ended December 31, 2018, the Company issued a six-month fixed rate note with an interest rate of 12% for initially $275,000, subsequently increased to $300,000, for cash of $250,000. As of December 31, 2018, the balance on this note is $100,000. The loan is past maturity as of December 31, 2018. During the year ended December 31, 2018, the Company issued two six-month fixed rate notes with annual interest rates of 10% and accumulated principal balances of $1,650,000 for cash of $1,500,000. The first note for $1,100,000 matures on March 26, 2019 and the second note for $550,000 matures on June 17, 2019. The terms of the notes included additional interest payments of 2% on the fourth, fifth and sixth month anniversaries of the notes and, if not paid at maturity, a conversion to common stock feature at a rate of 68% of the lowest closing bid price during the 15 days previous to conversion. Debentures contain prepayment options which enable the Company to prepay the notes for periods of 0-180 days subsequent to issuance at a premium of 125-135%. The Company recorded a derivative liability as a result of the conversion feature. The derivative liability was allocated between a note discount, up to the value of the Variable Debenture, and interest expense for the excess, and the note discount is being amortized over the life of the Variable Debenture. During the years ended December 31, 2018 and 2017, the Company recorded $2,282,707 and $4,087,500, respectively, in discounts on these Variable Debentures. As of December 31, 2018 and 2017, the Variable Debentures outstanding had balances due of $5,315,795 and $4,566,241, respectively. Of these amounts outstanding, $2,891,925 and $202,500 of the Variable Debentures were past maturity at December 31, 2018 and 2017, respectively. During the year ended December 31, 2017, the Company entered into a $1,500,000 note payable with an unrelated party in connection with the acquisition of patents. The note bore interest at 8% per year payable quarterly in cash and had a maturity date of November 2018. With agreement of the Company, in November 2018, the principal amount of the note was assigned to another unrelated party which owns several variable rate notes as a one-year variable rate note. This note is secured by the assets acquired from RGN. During the year ended December 31, 2017, the Company entered into a $100,000 note payable with an unrelated party and issued a warrant for up to 500,000 shares of common stock at a value of $21,204 in connection with this note. The note bears interest at 10% per year and matured in February 2018. At December 31, 2018, $100,000 remained outstanding on this note and the maturity date was extended to June 20, 2019. As of December 31, 2018, the Company had notes payable to related parties amounting to $270,000. Refer to Note 7– Related Party Transactions. In connection with the Company’s acquisition of IPR in 2012, IPR recorded a $155,000 long-term acquisition payable for costs that were not paid at closing. This payable is non-interest bearing and IPR agreed to make payments up to 25% of the proceeds from any private placement or gross profits earned by IPR until the obligation is satisfied. The percentage of the proceeds to be paid is at the sole discretion of IPR’s Chief Executive Officer and the ex-Chief Executive Officer of the Company based on the liquidity of the Company. During the year ended December 31, 2018 and 2017, the Company’s effective interest rate was 104% and 222%, respectively. On February 22, 2013, the Board of Directors of the Company authorized an amendment to the Company’s Articles of Incorporation, as amended (the “Articles of Incorporation”), in the form of a Certificate of Designation that authorized the issuance of up to one million (1,000,000) shares of a new series of preferred stock, par value $0.001 per share, designated “Series AA Super Voting Preferred Stock,” for which the board of directors established the rights, preferences and limitations thereof. Each holder of outstanding shares of Series AA Super Voting Preferred Stock shall be entitled to one hundred thousand (100,000) votes for each share of Series AA Super Voting Preferred Stock held on the record date for the determination of stockholders entitled to vote at each meeting of stockholders of the Company. As of December 31, 2018 and 2017, there were 25,000 and 5,000 shares of Series AA Preferred stock outstanding. On February 7, 2017, the Company filed a certificate of designation for 50,000 shares of Series B Convertible Preferred Stock designated as Series B (“Series B”) which are authorized and convertible, at the option of the holder, commencing six months from the date of issuance into common shares and warrants. For each share of Series B, the holder, on conversion, shall receive the stated value divided by 75% of the market price on the date of purchase of Series B and a three-year warrant exercisable into up to a like amount of common shares with an exercise price of 150% of the market price as defined in the Certificate of Designation. Dividends shall be paid only if dividends on the Company’s issued and outstanding Common Stock are paid and the amount paid to the Series B holder will be as though the conversion shares had been issued. The Series B holders have no voting rights. Upon liquidation, the holder of Series B, shall be entitled to receive an amount equal to the stated value, $100 per share, plus any accrued and unpaid dividends thereon before any distribution is made to Series C Secured Redeemable Preferred Stock or common stockholders. During the year ended December 31, 2018, 1,350 shares of Series B and 4,805,600 warrant shares have been issued of which 750 Series B shares have been converted into 2,941,176 common shares. As of December 31, 2018, there are 600 shares of Series B outstanding. On December 22, 2017, the Company filed a certificate of designation for 8,000 shares of Series C Secured Redeemable Preferred Stock (“Series C”). Each share of the C Preferred is entitled to receive a $20.00 quarterly dividend commencing March 31, 2018 and each quarter thereafter and is to be redeemed for the stated value, $1,000 per share, plus accrued dividends in cash (i) at the Company’s option, commencing one year from issuance and (ii) mandatorily as of December 31, 2019. The C Preferred does not have any rights to vote with the common stock. Upon liquidation, the holder of Series C, shall be entitled to receive an amount equal to the stated value, $1,000 per share, plus any accrued and unpaid dividends thereon before any distribution is made to common stockholders but after distributions are made to holders of Series B. Since the C Preferred is mandatorily payable, the obligation has been included in long term liabilities on the consolidated balance sheets as of December 31, 2018 and 2017. The Company’s obligation to redeem the C Preferred is secured by a security interest in the RGN Assets. For the years ended December 31, 2018 and 2017, the Company has sold 1,020 and 700 shares of Series C in units comprised of shares of C Preferred and common stock purchase warrants exercisable into up to 6,457,381 and 2,725,289 shares of common stock for consideration of $1,020,191 and $700,000. The warrants resulted in a debt discount after amortization of $180,712 and $101,808 at December 31, 2018 and 2017, respectively, and are recorded as a discount to the preferred stock liability on the consolidated balance sheet. During the year ended December 31, 2018, the Company issued pursuant to a private placement offering 1,561,950 shares of common stock and the same number of warrants for cash of $60,000; and 2,000,000 shares of common stock for cash of $25,000. The Company also issued 92,772,581 shares of common stock for the conversion of notes and accrued interest in the amount of $3,440,725. During the year ended December 31, 2018, the Company issued 477,399 shares of common stock valued at $17,194 related to the extension of outstanding notes and lock-up agreements; 1,000,000 shares valued at $22,200 were issued in connection with a $550,000 note payable; 2,941,176 shares were issued on the conversion of Preferred Series B Stock; and 6,183,243 shares were issued for the cashless exercise of 6,200,000 warrant shares. During the year ended December 31, 2017, the Company issued pursuant to a private placement offering 46,437,104 shares of common stock and the same number of warrants for cash of $1,290,250 and conversion of notes and accrued interest in the amount of $113,138. The Company also issued 123,163,542 shares of common stock for the conversion of notes and accrued interest in the amount of $4,975,949. During the year ended December 31, 2017, the Company issued 379,294 shares of common stock valued at $25,270 related to the extension of outstanding notes and lock-up agreements; 2,142,387 shares valued at $119,282 were issued in connection with $95,597 notes payable; 6,725,000 shares valued at $235,681 were issued in connection with a settlement entered into in 2017; 250,000 shares were issued for cash of $5,050 as a result of a common stock warrant exercise; and 180,274 shares were cancelled valued at $10,294 related to a settlement agreement. The Company had entered into consulting agreements with various consultants for service to be provided to the Company. The agreements stipulated a monthly fee and a certain number of shares that the consultant vests in over the term of the contract. The consultant was issued a prorated number of shares of common stock at the beginning of the contract, which the consultant earned over a three-month period. At the anniversary of each quarter, the consultant was issued a new allotment of common stock during the first 3 years of engagement. In accordance with ASC 505-50 – Equity-Based Payment to Non-Employees, the common stock shares issued to the consultant were valued upon their vesting, with interim estimates of value as appropriate during the vesting period. During the years ended December 31, 2018 and 2017, the Company issued 7,175,000 shares of common stock with a value of $224,785 and 3,698,022 shares of common stock with a value of $204,306, respectively, related to these consulting agreements. The Variable Debentures issued by the Company each have a provision requiring the Company to reserve a variable amount of shares of common stock for when the holder of the Variable Debenture converts. During the year ended December 31, 2018, the Company granted a stock option to independent contractor exercisable into up to 1,350,000 shares of common stock with an exercise prices ranging from $0.0298 to $0.047 per share, lives of two to three years, and cashless exercise rights and were valued at $29,246 using the Black Scholes option pricing model. The stock options vest over four to twelve months and $15,459 was expensed during the year ended December 31, 2018. During the year ended December 31, 2017, the Company granted stock options to independent contractors exercisable into up to 25,272,305 shares of common stock with exercise prices ranging from $0.0269 to $0.054 per share, lives ranging from three to ten years, and cashless exercise rights and were valued at $1,139,403 using the Black Scholes option pricing model. The stock options vested on grant and were expensed in full during the year ended December 31, 2017. In addition, during the year ended December 31, 2017, the Company issued stock options to independent contractors exercisable into up to 67,931,064 shares of common stock in exchange for the conversion of $1,467,311 of deferred compensation due to the independent contractors. These options have an exercise price of $0.0216 per share, a three-year life and cashless exercise rights. These options vested on grant. The weighted average grant date fair value of stock options issued during the years ended December 31, 2018 and 2017 were $0.0217 and $0.03 per share, respectively. During the year ended December 31, 2018, in conjunction with the sale of Common Stock, the Company issued three-year common stock purchase warrants to acquire up to 2,137,750 shares of common stock with exercise prices ranging from $0.069 to $1.00 per share. issuance of preferred stock. Also, one common stock purchase warrant to acquire up to 300,000 shares of common stock expired during the year ended December 31, 2018. During the year ended December 31, 2017, in conjunction with the sale of Common Stock, the Company issued three-year and five-year common stock purchase warrants to acquire up to 46,437,100 shares of common stock with exercise prices ranging from $0.0188 to $1.00 per share. In addition, during the year ended December 31, 2017, the Company issued two-year common stock purchase warrants to acquire up to 2,300,000 shares of common stock valued at $83,453 with an exercise prices ranging from $0.0508 to $0.25 in conjunction with the issuance of notes payable; five-year common stock purchase warrants to acquire up to 1,100,678 shares of common stock valued at $71,113 for services provided with exercise prices ranging from $0.096 to $0.267 per share; and two-year common stock purchase warrants to acquire up to 2,725,269 shares of common stock with exercise prices ranging from $0.047 to $0.058 in conjunction with the issuance of preferred stock. Two executive officers and the operations manager of the Company have agreed to defer a portion of their compensation until cash flow improves. As of December 31, 2018 and 2017, the balances of their deferred compensation was $933,150 and $922,425 which reflects $840,000 accrual of deferred compensation and $829,275 cash repayments of deferred compensation during the year ended December 31, 2018 and $894,394 accrual of deferred compensation, $1,173,297 cash repayments and the conversion of $660,000 of deferred compensation into stock options of the Company during the year ended December 31, 2017. From time-to-time officers and the operations manager of the Company advance monies to the Company to cover costs. During the years ended December 31, 2018 and 2017, officers advanced $65,000 and $26,000 of funds to the Company of which $87,000 and $11,500 were repaid during the years then ended. Also, during the years ended December 31, 2018 and 2017 accrued interest was repaid in an amount of $20,400 and $22,100, respectively. The balance of short-term advances due to two officers and executives of the Company at December 31, 2018 and 2017 was $0 and $20,323, respectively. During the year ended December 31, 2017, an officer and executive of the Company entered into note payable agreements for $100,000. At December 31, 2018 and 2017, notes payable remain outstanding to this officer and executive of the Company, in the amounts of $270,000 and $270,000, respectively. At December 31, 2018 and 2017, accrued interest on these notes payable totaled $32,046 and $21,983, respectively, and are included in accounts payable and accrued expenses on the consolidated balance sheet. The Company files income tax returns with the Internal Revenue Service (“IRS”) and various state jurisdictions. For jurisdictions in which tax filings are prepared, the Company is subject to income tax examinations by state tax authorities and federal tax authorities for all tax years. The deferred tax assets are mainly comprised of net loss carryforwards. As of December 31, 2018, the Company had approximately $21,600,000 of federal net operating loss carryforwards, that it can use to offset a certain amount of taxable income in the future. These federal net operating loss carryforwards begin to expire in 2030. The resulting deferred tax asset is offset by a 100% valuation allowance due to the uncertainty of its realization. The Company has adopted the accounting standards that clarify the accounting for uncertainty in income taxes recognized in an enterprise’s financial statements and prescribes a recognition threshold of more likely than not and a measurement process for financial statement recognition and measurement of a tax position taken or expected to be taken in a tax return. In making this assessment, a company must determine whether it is more likely than not that a tax position will be sustained upon examination, based solely on the technical merits of the position and must assume that the tax position will be examined by taxing authorities. Our policy is to include interest and penalties related to unrecognized tax benefits in income tax expense. Interest and penalties totaled $0 for the years ended December 31, 2018 and 2017. The Company may become involved in various legal proceedings in the normal course of business. During the year ended December 31, 2018, we had three significant customers which accounted for 20%, 12% and 11% of sales. We also have a single source for our bioelectric medical devices, which account for 100% of our sales. The interruption of products provided by this supplier would adversely affect our business and financial condition unless an alternative source of products could be found. At December 31, 2018, we had three customers which accounted for 42%, 30% and 28% of our accounts receivable balances. Note 11 - Subsequent Events. On December 31, 2018, we entered into a non-transferrable Investment Agreement whereby the investor committed to purchase up to $10,000,000 of our common stock, over the course of 36 months. The aggregate number of shares issuable by us and purchasable by the investor under the Investment Agreement is 81,250,000. A registration statement for the sale of our common stock related to the Investment Agreement went effective on February 11, 2019 and we issued the first put for the sale of up to 4,400,000 shares of common stock under the Investment Agreement on February 12, 2019. We may draw on the facility from time to time, as and when we determine appropriate in accordance with the terms and conditions of the Investment Agreement. The maximum amount that we are entitled to put in any one notice is the greater of: (i) 200% of the average daily volume (U.S. market only) of the common stock for the three (3) trading days prior to the date of delivery of the applicable put notice, multiplied by the average of the closing prices for such trading days or (ii) $100,000. The purchase price shall be set at ninety-four percent (94%) of the lowest daily VWAP of our common stock during the Pricing Period. However, if, on any trading day during a Pricing Period, the daily VWAP of the common stock is lower than the floor price specified by us in the put notice, then we will withdraw that portion of the put amount for each such trading day during the Pricing Period, with only the balance of such put amount above the minimum acceptable price being put to the investor. There are put restrictions applied on days between the put notice date and the closing date with respect to that particular put. During such time, we are not entitled to deliver another put notice. ● we will not be entitled to put shares to the investor prior to the closing date of the preceding put. In connection with the preparation of the Investment Agreement and the registration rights agreement, we issued the investor a check for $10,000 and agreed to pay the investor an additional $10,000 following the first put hereunder. In no event will we be obligated to register for resale more than $10,000,000 in value of shares of common stock, or 81,250,000 shares. Subsequent to December 31, 2018, 443,262 shares of restricted common stock were issued as for the extension of one fixed rate note payable outstanding. Subsequent to December 31, 2018, the Company converted $916,295 of principal and $104,099 of accrued interest in Variable Debentures outstanding at December 31, 2018 through the issuance of $87,829,706 of shares of common stock. Subsequent to December 31, 2018, the Company issued 64 shares of Preferred C stock and 549,966 common stock purchase warrant shares with a two-year life and exercise price ranging from $0.0195 -$0.0279 in exchange for $64,000 of principal and interest in an outstanding fixed rate note. Subsequent to December 31, 2018, the Company received cash of $395,000 in connection with a note issued for a total of $411,000 and issued 1,091,000 shares of restricted common stock related to this note. Subsequent to December 31, 2018, the Company received cash of $61,106 from the sale of 4,400,000 shares pursuant to put notices in relation to the investment agreement dated February 11, 2019. Subsequent to December 31, 2018, the Company issued 4,132,251 Shares in exchange for Services. As a result of these issuances the total number of common shares outstanding is 528,959,280 Preferred B shares outstanding is 600 and Preferred C shares outstanding is 1,784.2. Disclosure of controls and procedures. We maintain disclosure controls and procedures that are designed to ensure that information required to be disclosed in our reports, filed under the Securities Exchange Act of 1934, is recorded, processed, summarized and reported within the time periods specified in the SEC’s rules and forms, and that such information is accumulated and communicated to our management, including our chief executive officer and chief financial officer, as appropriate, to allow timely decisions regarding required disclosure. In designing and evaluating the disclosure controls and procedures, management recognized that any controls and procedures, no matter how well designed and operated, can provide only reasonable and not absolute assurance of achieving the desired control objectives. In reaching a reasonable level of assurance, management necessarily was required to apply its judgment in evaluating the cost-benefit relationship of possible controls and procedures. In addition, the design of any system of controls also is based in part upon certain assumptions about the likelihood of future events, and there can be no assurance that any design will succeed in achieving its stated goals under all potential future conditions. Over time, a control may become inadequate because of changes in conditions or the degree of compliance with policies or procedures may deteriorate. Because of the inherent limitations in a cost-effective control system, misstatements due to error or fraud may occur and not be detected. As required by the SEC Rule 13a-15(b), we carried out an evaluation under the supervision and with the participation of our management, including our principal executive officer and principal financial officer, of the effectiveness of the design and operation of our disclosure controls and procedures as of December 31, 2018. Based on the foregoing, our principal executive officer and principal financial officer concluded that our disclosure controls and procedures were not effective as of December 31, 2018 at the reasonable assurance level due to the material weaknesses described below. 1. We do not have written documentation of our internal control policies and procedures. Written documentation of key internal controls over financial reporting is a requirement of Section 404 of the Sarbanes-Oxley Act which is applicable to us for the year ended December 31, 2018. Management evaluated the impact of our failure to have written documentation of our internal controls and procedures on our assessment of our disclosure controls and procedures and has concluded that the control deficiency that resulted represented a material weakness. ● Provide reasonable assurance regarding prevention or timely detection of unauthorized acquisition, use or disposition of the issuer’s assets that could have a material effect on the financial statements. As of the end of our most recent fiscal year, management assessed the effectiveness of our internal control over financial reporting based on the criteria for effective internal control over financial reporting established in Internal Control—Integrated Framework issued by the Committee of Sponsoring Organizations of the Treadway Commission (“COSO”) and SEC guidance on conducting such assessments. Based on that evaluation, they concluded that as of December 31, 2018, such internal control over financial reporting was not effective. This was due to deficiencies that existed in the design or operation of our internal control over financial reporting that adversely affected our internal controls and that may be considered to be material weaknesses. The matters involving internal control over financial reporting that our management considered to be material weaknesses under the standards of the Public Company Accounting Oversight Board were: (1) lack of a functioning audit committee due to a lack of a majority of independent members and a lack of a majority of outside directors on our board of directors, resulting in ineffective oversight in the establishment and monitoring of required internal controls and procedures; and (2) inadequate segregation of duties consistent with control objectives of having segregation of the initiation of transactions, the recording of transactions and the custody of assets. The aforementioned material weaknesses were identified by our Chief Executive Officer in connection with the review of our financial statements as of December 31, 2018. As a result of restating the financial statements, Management believes that the material weaknesses set forth in items (1) and (2) above did not have an effect on our financial results. However, management believes that the lack of a functioning audit committee and the lack of a majority of outside directors on our board of directors results in ineffective oversight in the establishment and monitoring of required internal controls and procedures, which could result in a material misstatement in our financial statements in future periods. This annual report does not include an attestation report of the Company’s registered public accounting firm regarding internal control over financial reporting. Management’s report was not subject to attestation by the Company’s registered public accounting firm pursuant to temporary rules of the SEC that permit the Company to provide only the management’s report in this annual report. In an effort to remediate the identified material weaknesses and other deficiencies and enhance our internal controls, we have initiated, or plan to initiate, the following series of measures: we will increase our personnel resources and technical accounting expertise within the accounting function when funds are available to us. First, we will create a position to segregate duties consistent with control objectives of having separate individuals perform (i) the initiation of transactions, (ii) the recording of transactions and (iii) the custody of assets. Second, we will create a senior position to focus on financial reporting and standardizing and documenting our accounting procedures with the goal of increasing the effectiveness of the internal controls in preventing and detecting misstatements of accounting information. Third, we plan to appoint one or more outside directors to our board of directors who shall be appointed to an audit committee resulting in a fully functioning audit committee who will undertake the oversight in the establishment and monitoring of required internal controls and procedures such as reviewing and approving estimates and assumptions made by management when funds are available to us. We anticipate the costs of implementing these remediation initiatives will be approximately $50,000 to $100,000 a year in increased salaries, legal and accounting expenses. There has been no change in our internal control over financial reporting that occurred during the fiscal quarter covered by this Annual Report on Form 10-K that has materially affected, or is reasonably likely to materially affect, our internal control over financial reporting. On April 3, 2013, the Company filed an amendment to the Company’s Articles of Incorporation, as amended (the “Articles of Incorporation”), in the form of a Certificate of Designation that authorized the issuance of up to one million (1,000,000) shares of a new series of preferred stock, par value $0.001 per share, designated “Series AA Super Voting Preferred Stock,” for which the board of directors established the rights, preferences and limitations thereof. The Company’s board of directors authorized the Series AA Super Voting Preferred Stock pursuant to the authority given to the board under the Articles of Incorporation, which authorizes the issuance of up to 5,000,000 shares of preferred stock, par value $0.001 per share, and authorized the board, by resolution, to establish any or all of the unissued shares of preferred stock, not then allocated to any series into one or more series and to fix and determine the designation of each such shares, the number of shares which shall constitute such series and certain preferences, limitations and relative rights of the shares of each series so established. The summary of the rights, privileges and preferences of the Series AA Super Voting Preferred Stock described above is qualified in its entirety by reference to the Certificate of Designation as filed with the Company’s Annual Report on Form 10-K for the year ended December 31, 2012. Due to its limited resources, the Company has not been able to pay certain promissory notes when due. As of December 31, 2018, there are 56 notes with an aggregate principal of $4,084,328 which are beyond their maturity date. Management believes that the Company may have valid defenses as to some of the promissory notes and will be able to modify some of these notes if requested by the holders to do so and otherwise avoid any default. The following table sets forth the name and age of officers and director as of March 29, 2017. Our Executive officers are elected annually by our Board of Directors. Our executive officers hold their offices until they resign, are removed by the Board, or his successor is elected and qualified. Alan Collier has been the Chief Executive Officer, Secretary, and a director of the Company Since March 2012. Mr. Collier has more than twenty (20) years of experience in finance, telecommunications, and consumer products. Over the progression of his career, he has specialized in the development and financing of early stage, high growth, and acquisitive companies (public and private). He has structured, participated in, and completed numerous transactions including mergers and acquisitions, equity and debt placements, capital restructuring, joint venture development, and channel partner procurement. Additionally, Mr. Collier was a Senior Managing Director at Mid-Market Securities, a FINRA-registered Broker-Dealer. He is also the co-founder and a Managing Member of C2 Capital, LLC, which provides management consulting services to companies preparing to go public. Prior to joining Mid-Market Securities, Mr. Collier was a Managing Director of Mosaic Capital and co-managed its Capital Markets Group at Mosaic Capital. He was previously a Vice President at Corporate Capital Group and Managing Director and CEO of Greenbridge Capital Group. He has held numerous board and executive positions throughout his career. Michael Mann has been the President since January 2014. Mr. Mann was the Vice President of Shareholder Relations from March 2012 to January 2014 for the Company and he brings significant related experience in business operations and corporate finance. From 2008 to March 2012, Mr. Mann has served as the President and Chief Executive Officer of Hanover Portfolio Acquisitions, Inc. formerly known as Hanover Asset Management, Inc. Immediately prior thereto, Mr. Mann was the Founder, President, and Chief Executive Officer of U.S. Debt Settlement, Inc., a company listed on the Frankfurt Stock Exchange. Mr. Mann had personally overseen the growth and development of U.S. Debt Settlement since 2003. From January 2002 to July 2003, Mr. Mann was the Chief Executive Officer of Shared Vision Capital, a boutique investment banking firm that assisted emerging companies with early seed capital and bridge loans. From October 1998 through December 2001, Mr. Mann was the Vice President of Investor Relations for JuriSearch.com, an online legal research platform. During his tenure with JuriSearch.com, Mr. Mann was directly responsible for financing for the company’s growth and development. In addition, Mr. Mann founded and served as the president of Universal Pacific Communications, a privately owned telecommunications company. Under his leadership, Universal Pacific developed a fiber optic disaster recovery telecommunications network. Except as set forth in our discussion below in “Certain Relationships and Related Transactions,” none of our directors or executive officers has been involved in any transactions with us or any of our directors, executive officers, affiliates or associates which are required to be disclosed pursuant to the rules and regulations of the Commission. The business and affairs of the company are managed under the direction of our board. We have a board consisting of one member. In addition to the contact information in this annual report, each stockholder will be given specific information on how he/she can direct communications to the officers and our director of the corporation. All material communications from stockholders are relayed to our board. Our board is primarily responsible for overseeing our risk management processes. The board receives and reviews periodic reports from management, auditors, legal counsel, and others, as considered appropriate regarding our company’s assessment of risks. The board focuses on the most significant risks facing our company and our company’s general risk management strategy, and also ensures that risks undertaken by our company are consistent with the board’s appetite for risk. While the board oversees our company’s risk management, management is responsible for day-to-day risk management processes. We believe this division of responsibilities is the most effective approach for addressing the risks facing our company and that our board leadership structure supports this approach. We became subject to the reporting requirements of the Securities Exchange Act of 1934, as amended (“34 Act”) on June 15, 2015 when we filed a Form 8-A. Our officers and director have made appropriate filings under Section 16(a) of the Exchange Act, although on two occasions, Mr. Mann filed his Form 4 a few days late. These instances involved reporting of open market purchases and did not involve any short swing profits. The following executives of the Company received compensation in the amounts set forth in the chart below for the fiscal years ended December 31, 2018, 2017 and 2015. No other item of compensation was paid to any officer or director of the Company other than reimbursement of expenses. (1) Includes a repayment of deferred compensation to Mr. Collier of $4,102, $17,050 and $200 for 2016, 2017 and 2018, respectively. Includes deferred compensation to Mr. Mann of $250,00 and $20,700 for 2016 and 2018 and a repayment of deferred compensation of $256,500 for 2017. (2) Includes the valuation of stock options issued to Mr. Collier in exchange for the forgiveness of $220,000 of deferred compensation and the issuance of a discretionay stock option. Includes the valuation of stock options issued to Mr. Mann in exchange for the forgiveness of $220,000 of deferred compensation. The directors receive no compensation for serving as directors. However, the Company may reimburse its directors for any out-of-pocket cost reasonably incurred to attend a Board meeting. All of the new officers pursuant to the terms of the Share Exchange Agreement dated March 14, 2012 have agreed to accrue and defer payment of their compensation until the Company has generated sufficient financing proceeds or revenue to pay such compensation. Initially, Messrs. Collier and Mann each received compensation of $10,000 per month which has increased to $25,000 and $22,500 per month, respectively. The following table sets forth certain information regarding our shares of common stock beneficially owned as of April 15, 2019, for (i) each stockholder known to be the beneficial owner of 5% or more of our outstanding shares of common stock, (ii) each named executive officer and director, and (iii) all executive officers and directors as a group. A person is considered to beneficially own any shares: (i) over which such person, directly or indirectly, exercises sole or shared voting or investment power, or (ii) of which such person has the right to acquire beneficial ownership at any time within 60 days through an exercise of stock options or warrants. Unless otherwise indicated, voting and investment power relating to the shares shown in the table for our directors and executive officers is exercised solely by the beneficial owner or shared by the owner and the owner’s spouse or children. For purposes of this table, a person or group of persons is deemed to have “beneficial ownership” of any shares of common stock that such person has the right to acquire within 60 days of April 15, 2019. For purposes of computing the percentage of outstanding shares of our common stock held by each person or group of persons named above, any shares that such person or persons has the right to acquire within 60 days of April 15, 2019 is deemed to be outstanding, but is not deemed to be outstanding for the purpose of computing the percentage ownership of any other person. The inclusion herein of any shares listed as beneficially owned does not constitute an admission of beneficial ownership. Unless otherwise specified, the address of each of the persons set forth below is care of the company at the address of: 6320 Canoga Avenue, 15th Floor Woodland Hills, CA 91367. On March 31, 2014, the Company issued a promissory note to Michael Mann for a principal amount of $70,000. The Note carries an interest rate of 14% per annum and a maturity date of September 30, 2017 with interest due monthly. On October 29, 2014, the Company issued a promissory note to Michael Mann for a principal amount of $50,000. The Note carries an interest rate of 14% per annum and a maturity date of October 29, 2017 with interest due monthly. On February 10, 2015, the Company issued a promissory note to Michael Mann for a principal amount of $50,000. The Note carries an interest rate of 14% per annum and a maturity date of June 4, 2015 with interest due monthly. On December 21, 2017, the Company issued a promissory note to Michael Mann for a principal amount of $100,000. The Note carries an interest rate of 10% per annum and a maturity date of March 22, 2018 with interest due monthly. The outstanding notes to Mr. Mann equal $270,000 at December 31, 2018. In the opinion of management, these notes were on terms no less favorable to the lenders than the Company might have obtained from an unaffiliated party. ● the director or a family member of the director is a current partner of the company’s outside auditor, or at any time during the past three years was a partner or employee of the company’s outside auditor, and who worked on the company’s audit. Mr. Alan Collier is not considered independent because he is the Company’s Chief Executive Officer. For the Company’s fiscal years ended December 31, 2018 and 2017, we were billed approximately $80,790 and $77,050, respectively, for professional services rendered for the audit and review of our financial statements. There were no fees for audit related services for the years ended December 31, 2018 and 2017. For the Company’s fiscal years ended December 31, 2018 and 2017, we were billed approximately $12,865 and $9,655 for professional services rendered for tax compliance, tax advice, and tax planning. The Company did not incur any other fees related to services rendered by our principal accountant for the fiscal years ended December 31, 2018 and 2017. ● entered into pursuant to pre-approval policies and procedures established by the audit committee, provided the policies and procedures are detailed as to the particular service, the audit committee is informed of each service, and such policies and procedures do not include delegation of the audit committee’s responsibilities to management. 2.1 Share Exchange Agreement. Incorporated by reference to the current report on Form 8-K filed with the Securities and Exchange Commission on March 21, 2012. 3.1 Articles of Incorporation. Incorporated by reference to the registration statement filed with the Securities and Exchange Commission on September 22, 2011. 3.2 By-Laws. Incorporated by reference to the registration statement filed with the Securities and Exchange Commission on September 22, 2011. 3.3 Agreement and Plan of Merger (Delaware reincorporation). Incorporated by reference to the registration statement filed with the Securities and Exchange Commission on September 22, 2011. 3.5 Articles of Amendment -Name Change. Incorporated by reference to Exhibit 3.1 to Form 8-K filed with the Securities and Exchange Commission on January 24, 2014. 3.6 Articles of Amendment – Increase Authorized Shares. Incorporated by reference to Exhibit 3.1 to Form 8-K filed with the Securities and Exchange Commission on January 24, 2014. 3.7 Articles of Amendment – Reverse Stock Split. Incorporated by reference to Exhibit 3.7 to Form S-1 amendment filed with the Securities and Exchange Commission on October 6, 2016. 3.8 Certificate of Designation Series B Preferred Stock. Incorporated by reference to Exhibit 3.1 to Current Report on Form 8-K filed with the Securities and Exchange Commission February 10, 2017. 3.9 Certificate of Designation Series C Preferred Stock. Incorporated by reference to Exhibit 10.4 to Current Report on Form 8-K filed with the Securities and Exchange Commission December 26, 2017. 3.10 Articles of Amendment Authorizing additional Shares. Incorporated by reference to Exhibit 3.1 to Form 8-K filed with the Securities and Exchange Commission on September 18, 2018. 4.1 Specimen Common Stock Certificate. Incorporated by reference to like numbered Exhibit to Registration on Form S-1 amendment filed on June 10, 2016. 10.1 Investment Agreement by and between the Company and Azure Capital, dated as of December 31, 2018. Incorporated by reference to like numbered exhibit to Current Report on Form 8-k filed with the Securities Exchange Commission on January 3, 2018. 10.2 Registration Rights Agreement by and between the Company and Azure Capital, dated as of December 31, 2018. Incorporated by reference to like numbered exhibit to Current Report on Form 8-k filed with the Securities Exchange Commission on January 3, 2018. 10.4 Settlement and Mutual Release, effective November 22, 2018, between the Company and Rio Grande Neurosciences, LLC. Incorporation by reference to Exhibit 10.1 to current report on Form 8-K filed with the Securities and Exchange Commission on December 26, 2017. 10.5 Exchange Agreement dated as of November 30, 2018, between the Company and Eagle Equities, LLC. Incorporated by reference to Exhibit 10.1 to Current Report on Form 8-K filed with the Securities Exchange Commission on December 7, 2018. 10.6 Secured $1,500,000 Convertible Promissory Note, dated as of November 30, 2018, issued by the Company and Eagle Equities, LLC. Incorporated by reference to Exhibit 10.2 to Current Report on Form 8-K filed with the Securities Exchange Commission on December 7, 2018. Certification of Chief Executive and Chief Financial Officer, pursuant to 18 U.S.C. Section 1350 as adopted pursuant to Section 302 of the Sarbanes-Oxley Act of 2002. 32.1 Certification of Chief Executive and Chief Financial Officer, pursuant to 18 U.S.C. Section 1350 as adopted pursuant to Section 906 of the Sarbanes-Oxley Act of 2002. * XBRL (Extensible Business Reporting Language) information is furnished and not filed or a part of this annual report or purposes of Sections 11 or 12 of the Securities Act of 1933, as amended, is deemed not filed for purposes of Section 18 of the Securities Exchange Act of 1934, as amended, and otherwise is not subject to liability under these sections. Pursuant to the requirements of Section 13 or 15(d) of the Securities Exchange Act of 1934, the registrant has duly caused this report to be signed on its behalf by the undersigned, thereunto duly authorized on this 15th day of April, 2019.